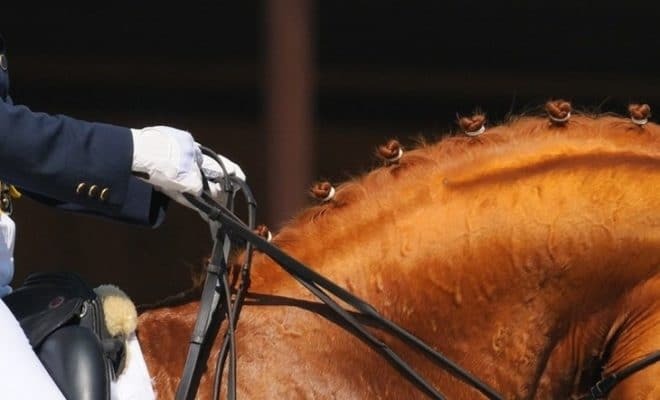 The world’s best dressage riders always look elegant on their horses, sitting motionless with seemingly endless legs that give the most subtle of aids as they glide smoothly around the arena. So, how do you go about acquiring ‘dressage legs’? Read on for some helpful tips on how to lengthen your lower leg. The key to developing a longer lower leg is finding your centre of gravity and opening up your hips. Once you’ve achieved this, you will find that your legs automatically become longer. 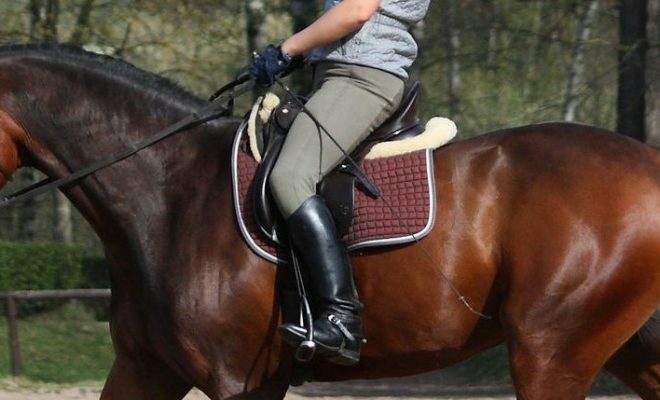 Shorten your stirrups by two or three holes. 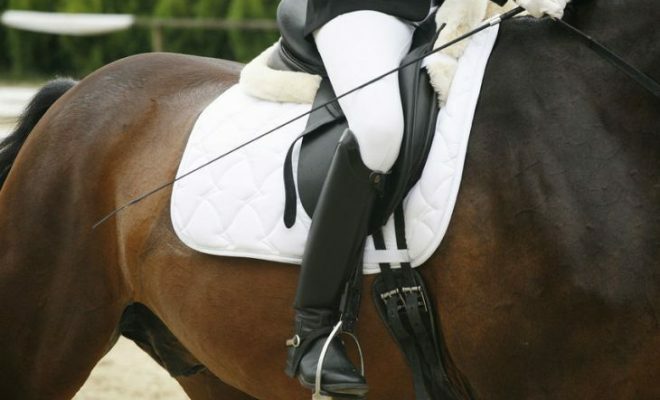 Hold your leg completely off the saddle and make a transition to walk. As your horse walks along, relax and let your body find its equilibrium. Go forwards into trot and do the same (grab some mane if you need to so that you don’t lose your balance). This exercise will find your natural centre of gravity and place you in the deepest part of the saddle. 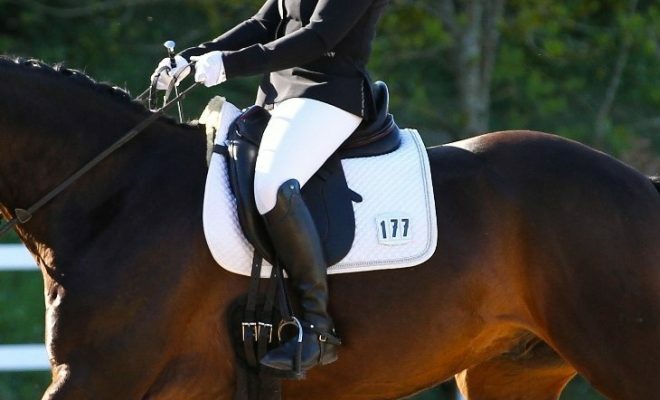 This is where you should aim to sit once you’ve lengthened your stirrups again. One of the main impediments to developing a longer lower leg is a tight hip. If your hips are restrictive, your leg won’t hang down and you’ll struggle to lengthen your leg. Take your stirrups away and ask your horse to walk around the school. Feel how your hips move. If you find yourself rocking back and forth, you need to open your hips more and relax your thighs. 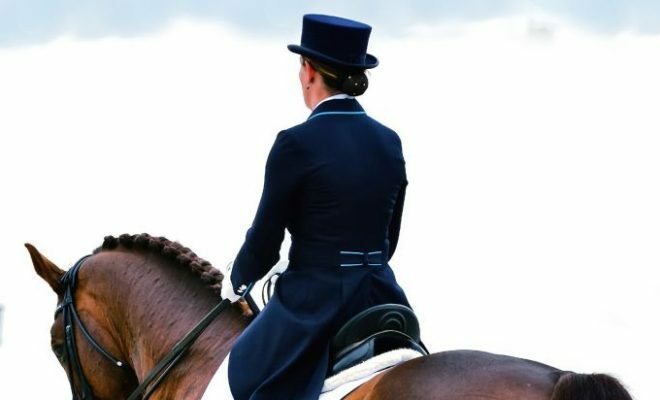 You should feel your hips following the horse’s hips and dipping alternately as his do. Ride the same exercise in sitting trot, keeping your back relaxed and free from tension. This is the feeling that you want to achieve every time you ride with your stirrups. 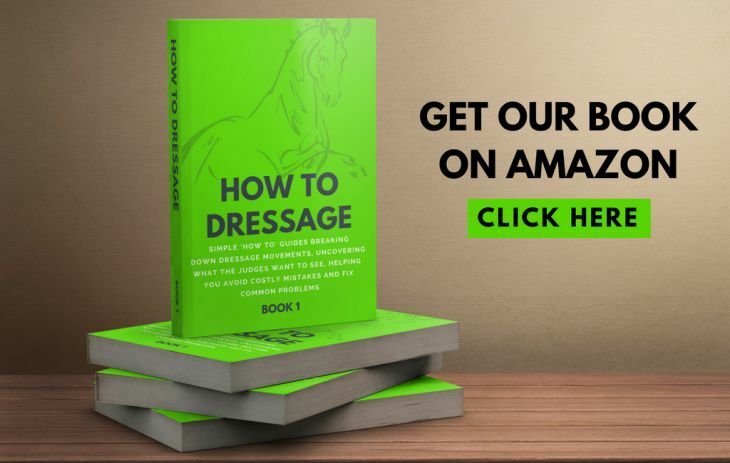 Now that you’ve found your ‘dressage leg’, you’ll need to reinforce your new position by repeating these exercises every time you ride. Once your longer leg feels ‘natural’, you can lengthen your leathers accordingly. 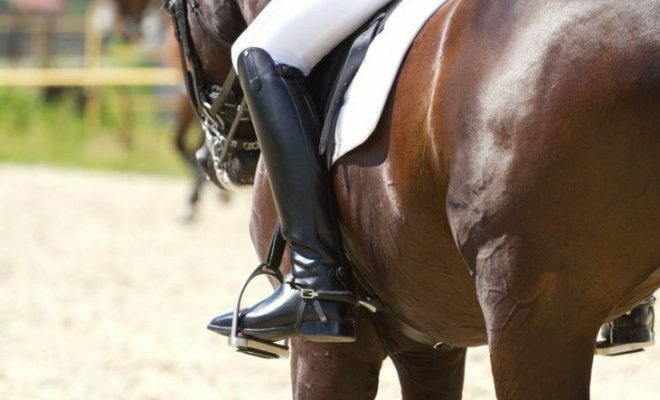 Don’t try to lengthen your leg just by dropping your stirrups a couple of holes. This will just cause you to tighten up even more because you’ll feel as though you are losing your balance. It’s useful to work on suppling and strengthening your legs when you’re not riding. Here’s a useful exercise that you can work on at home. 1. Begin on all fours with your spine flat and back straight, not hollow. Try to feel as though you are rolling your tailbone underneath you and pulling up your stomach. This movement engages your core. This will also help you to keep your hips and pelvis upright when you’re riding. 2. Raise one leg to the side. Ultimately, you want to be able to raise your knee until it is parallel with the floor, but to begin with, just raise it as high as you can, while keeping your back flat. 3. Bring your knee back down and raise your leg out behind you. Be careful to keep your back flat and your core strong. 4. Repeat the exercise with the other leg. Start with five repetitions of the exercise, and then build up to as many as you can manage as you become stronger. A long, ‘dressage leg’ takes many hours of hard work and practice to develop and ultimately comes from a combination of many different factors. However, your effort will eventually be rewarded with a much more effective position and that coveted, elegant lower leg position.